If you are in the same boat as I am then you probably felt that yesterday's San Diego Comic Con Hotelpocalypse went off without a hitch. This year the hotel sale mimicked that of the badge sale in that individuals waited in a virtual waiting room and were then sorted at a random order to the "sale" page. Instead of racing to fill out the form as fast as possible, forms will be accepted based on the time stamp from when the person had access to the form. It was low stress and seemed to be a much better system. Now we wait. Old Man Logan #22 - Jeff Lemire is one cruel dude. In case you forgot, Logan is lost in the time stream per Asmodeus' trap. This forces Wolverine to relive his past in his attempt to locate the amulet at each stop in an insane attempt to return to the present time. Er, uh, present time after the initial shift that took him away from the wastelands that he had partnered up with Asmodeus in an attempt to return to save Baby Hulk. 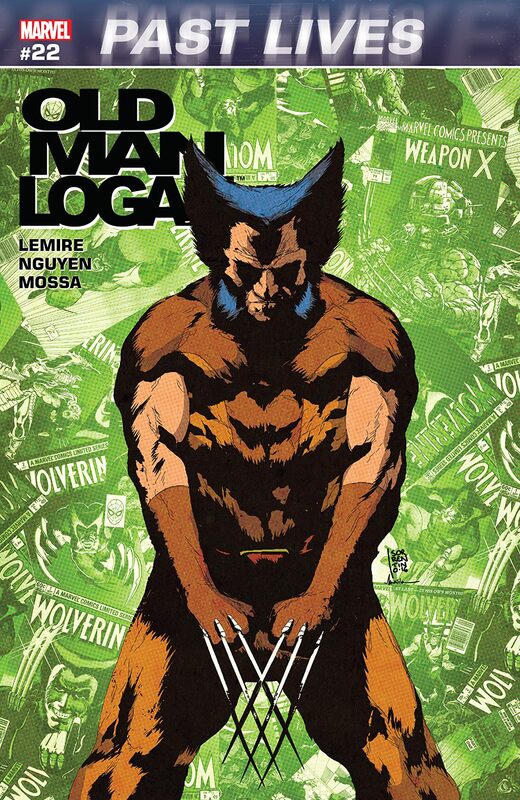 Anyhoo, the first stop for Logan is his first encounter with Hulk, which isn't too bad and pretty entertaining, but that is when Lemire decides to turn on Wolverine and write this book to force Logan to witness Jean Grey's death yet again. Ouch. Lemire does reward Wolverine in the last stop in this book, but I won't spoil what happens. This is must read material for any Wolverine fan and has been a lot of fun. 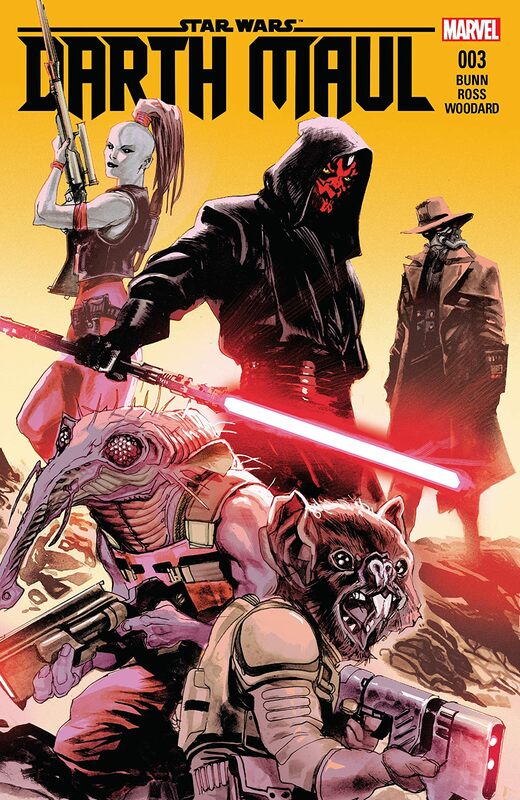 Darth Maul #3 - I have really enjoyed Cullen Bunn's take on Darth Maul, and this issue sets the stage for what should be a brutal issue #4. This series has been a nice balance of Maul attempting to assert himself, but it is clear he has much to learn and respects the power that Darth Sidious possesses. Maul, despite being ordered to remain low by Darth Sidious, is planning on seizing a Padawan who is up for auction. His goal is to satiate his desire to kill by having a duel with the Padawan. Lacking the funds to outright purchase the Padawan and wanting to keep a low profile, he enlists the help of Cad Bane and Aurra Sing. What could possibly go wrong? X-Men Blue #2 - It is a good week when I get to read multiple titles penned by Mr. Bunn and X-Men Blue continues to be a lot of fun. 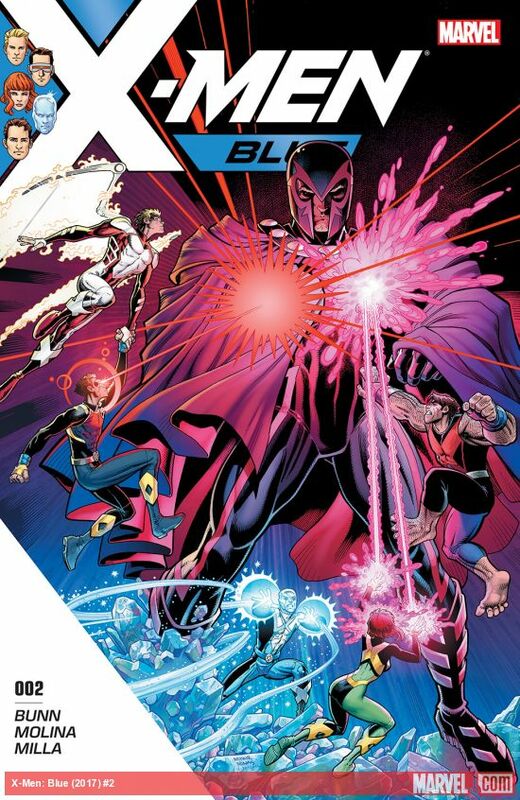 After getting sent forward in time, the original X-Men pair up Magneto, which is a surprising ally for this group. In order to gain their trust, Magneto allows Jean Grey to read his mind to ensure that he is honest when he says he wants to help them pursue Professor X's dream of man and mutant living in peace. Things seem to be off to a good start, but as the X-Men are on a mission against Sentinels in Spain, it seems that Magneto might be up to something a bit shady. This would be enough of a story to keep my interest, but when the Sentinels are confronted they refer to the X-men as fellow mutants. Fellow? Ahhhhhhhhhhhh. I don't want to wait for the next issue to find out what this means. Well played Mr. Bunn.